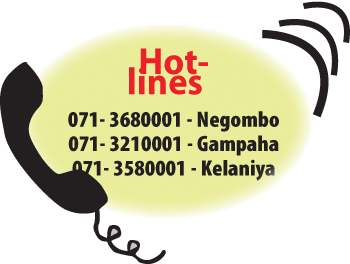 In just five days since the launch of a comprehensive anti-narcotics drive in the Western Province with the opening of three drug reporting hotlines for the first time, 189 calls were received, out of which 48 resulted in heroin hauls. 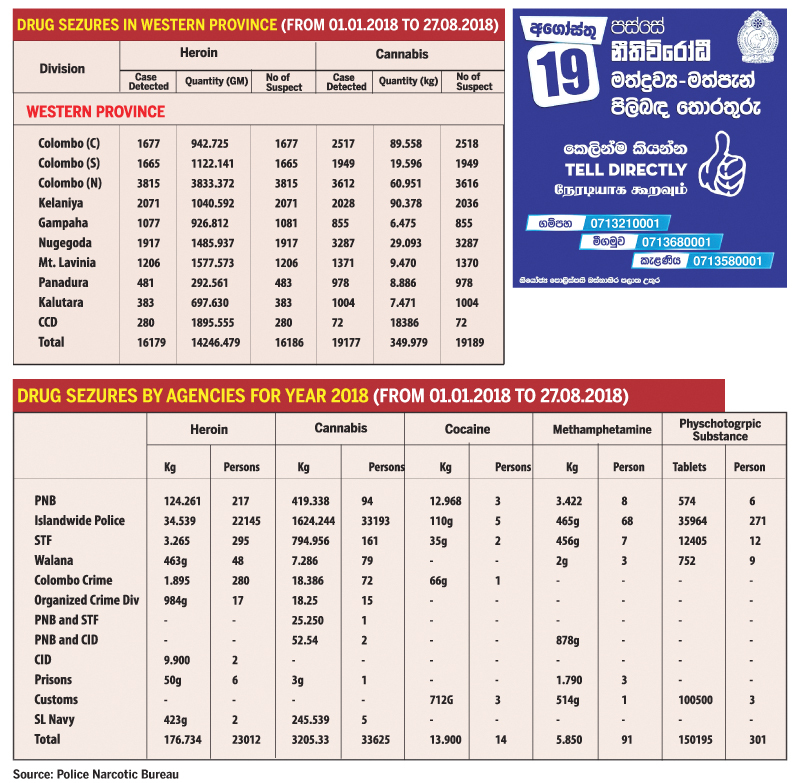 Based on the information collated, 189 calls have been received by the three toll-free drug reporting hotlines for Kelaniya, Gampaha and Negombo. Two teams comprising 24 officers have been appointed to work round the clock specifically for the task. The police also count on the support of over 10,468 grassroots-level communities, which were set up for the massive anti-narcotics drive. The purpose of the recently launched pilot project is to provide people with a safe and confidential means to pass on information on drug dealing. Using the toll-free numbers,, members of the public can anonymously report drug-dealing activity. It was revealed that nearly 75 percent of crimes committed in the Western Province were drug related. Officials also told the Daily News that the hotline staff received several calls from individuals threatening them with dire consequences if they did not halt the project. “We have every reason to believe that we may be on to something and we will not stop with just this month or the next, this will be a continuous programme,” said DIG Tennakoon. He spoke of plans to incentivise the project by rewarding informers and securing a greater participation from the rural committees in spreading awareness. 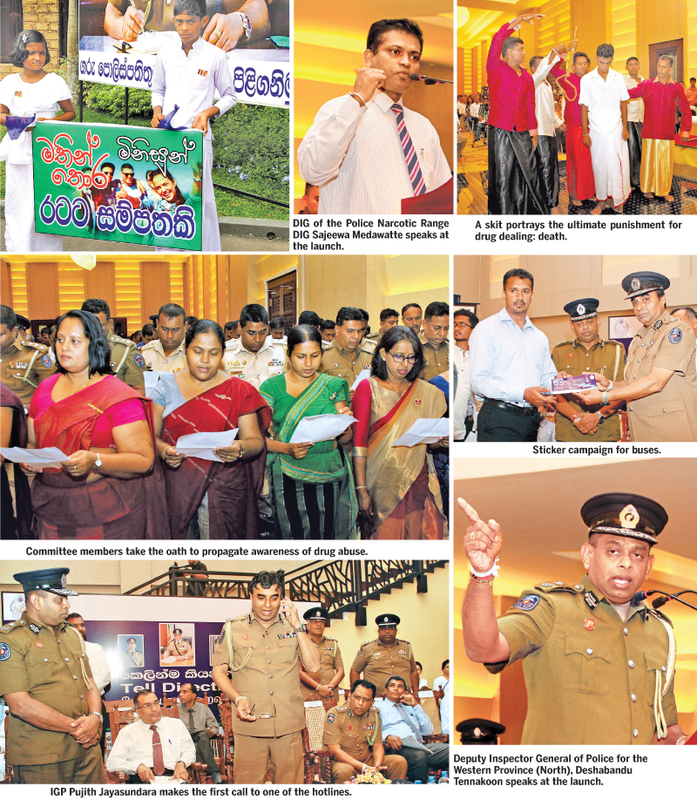 Speaking at an event in Divulapitiya which saw the launch of the initiative, Inspector General of Police Pujith Jayasundara said that it was evident that drug abuse was connected to most crimes in the country, ranging from robbery to terrorism. “The enforcement of the law alone is insufficient to curb the menace,” he said, adding that the support or citizens was vital in executing a successful programme. He noted that 492 police divisions and 14,068 community police committees in 14,022 grama seva divisions were actively working on the fight against drugs. 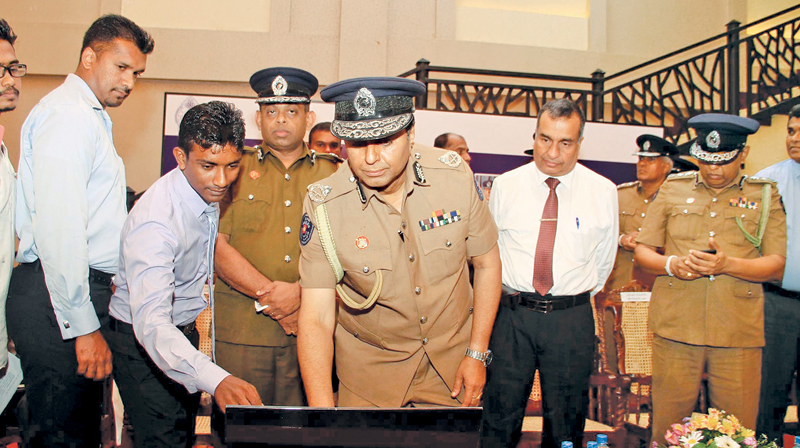 Meanwhile DIG of the Police Narcotic Range DIG Sajeewa Medawatte, speaking to the Daily News, said that the police were actively working on several fronts which include prevention, detection, investigation, prosecution and finally, rehabilitation. Speaking at the event last week, he cited an incident at a leading Colombo school, where a parent was doling out nearly Rs.30 000 weekly to feed the child’s drug addiction. Director of the Police Narcotic Bureau (PNB), SSP T.C.A. Dhanapala, speaking to the Daily News,said that the frequency of detections has increased over the last few weeks, with the most number of detection being in Gampaha, Kelaniya and Nugegoda. “We have found Peliyagoda to be a high-risk area, where most of the detections have been of heroin. There seem to be more users there and the proximity to the harbour and container yards seem to be making this a lucrative area,” he said. The committees, which will be headed by principals or deputy principals, have been tasked with a multitude of programmes aimed at creating awareness among schoolchildren. Over the last few weeks, there have been several arrests and detections where young adults were found to be using substances such as ‘ICE’ (methamphetamine) and tablets like ‘Tramadol’.